Pizza is taken very seriously in Campania and especially in Naples and its surrounding areas. The reasons are rather obvious. The area is known for its San Marzano tomatoes which are renowned for their exceptional quality particularly for making tomato sauce and for the Mozzarella di Bufala made from milk from water buffalo raised in the marshlands of Campania. No one really knows where pizza originated from but the ‘Napolitani’ claim to be those that have invented the pizza we are so accustomed to eating nowadays in many pizzerias worldwide. Maarten Van Steen of Villa Bardon in Gent which serves Mediterranean cuisine has just come back from a two week course organised by the Associazione Vera Pizza Napolitana to learn the secrets to making a good pizza. This afternoon we tasted the results of this two week course and the result was extremely successful. Here he shares the secrets of what he has learned in the two weeks he stayed in the world’s pizza capital. It might sound obvious but there are a few secrets to making good pizza. The first is the dough. This is made with water, flour (in Italy the use the 00 type) salt and yeast. You need to let it rest for around two hours, following which you shape it into balls which are left to ferment even overnight in a cool environment. This adds to the complexity of flavour. The other secret is the ingredients on top of the pizza. In Campania they use crushed San Marzano tomatoes to make tomato sauce as the base for the pizza. The mozzarella is the other key ingredient. Here, unfortunately, it is not easy to replicate given that it is extremely difficult if not impossible to find a good mozzarella that has been produced on that same day. In the South of Italy, mozzarella is taken very seriously and many will make sure that they use one which had been just prepared on the day. Maarten says the best mozzarella he has ever tasted came from a visit to the farm where it had just been produced. I can vouch for such mozzarella from our visit to Campania a few years ago. The real pizza Napolitana uses just tomatoes, mozzarella, basil and a drizzle of good extra virgin olive oil. When the ingredients are good, simplicity is key. 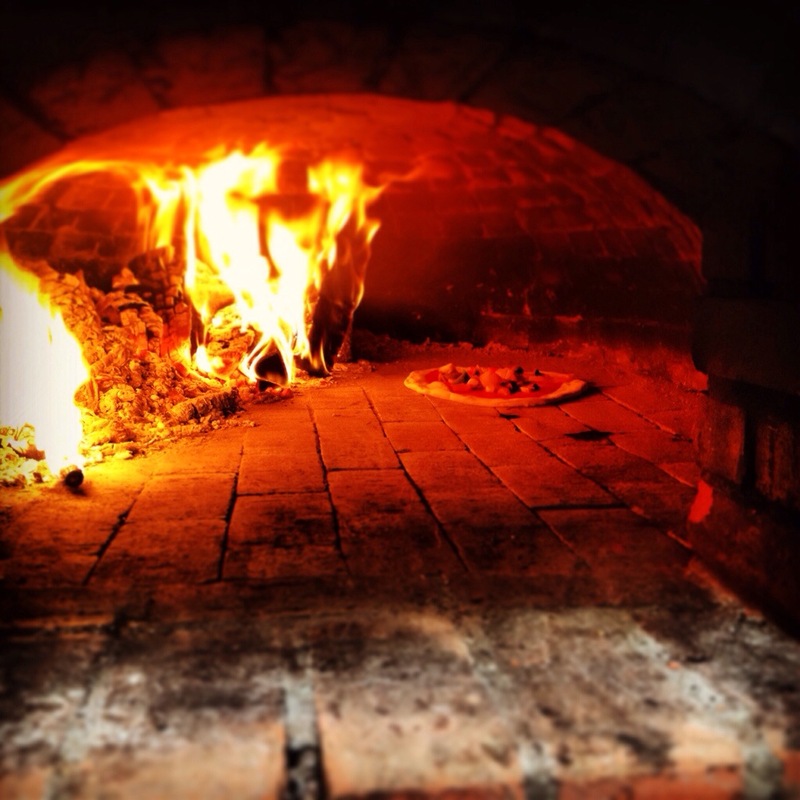 Maarten says another key element of making good pizza is to have the right oven. A stone oven is obviously essential but he was also in pizzerias which made use of gas ovens (albeit with a flame). He says the results are not the same but come close. You obviously need to open the dough well. Here the secret is not to throw the dough into the air. This is a gimmick and not the way the Associazione teaches upcoming pizzaiolos. He had his fair share of pizzas but he says one of the things which surprised him most was a ‘fried’ pizza calzone stuffed with ricotta and pancetta among others which was sensational. He tried this at Pizzeria Di Matteo, which is a very famous pizzeria in one of the narrow streets of Naples. Many associate the Pizza Marinara with seafood. However, in Campania, the Pizza Marinara is the simplest pizza you can have. It is just a pizza with tomatoes and garlic and has no mozzarella. 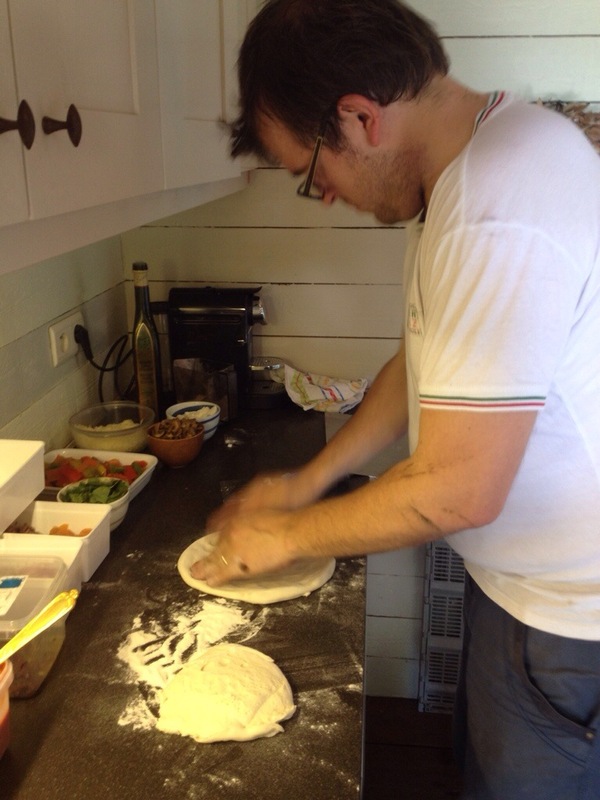 For the time being, Maarten will perfect the art of making pizza on his days off from the restaurant. As he says, the two week course in Naples adds to his cooking experiences. Who knows, we might be able to try his pizzas in Gent sometime in future.